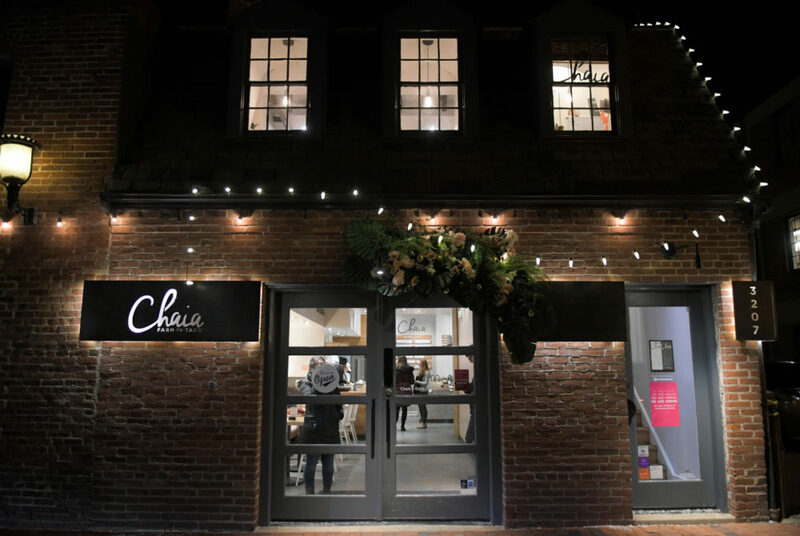 Chaia Tacos, which opened its first location in Georgetown in 2015, was one of the first restaurants to tap into the fast-casual market in the neighborhood. With more than a dozen restaurant closings last year – including staples like J. Paul’s, Old Glory BBQ and Pier 2934 – Georgetown started the new year as a neighborhood in transition. Thirteen restaurants, some of which were in business for nearly 30 years, closed around Georgetown last year and more casual vendors like The Dough Jar and Wawa popped up in their places. Restaurant managers and experts said the neighborhood has seen a changed profile over years of closures, but a transition to fast-casual concepts has redefined the neighborhood. Jamie Scott, the director of planning and economic development at the Georgetown Business Improvement District – an organization focused on improving Georgetown’s commercial district – said while well-known restaurants have closed recently, the restaurant sector of the neighborhood is actually growing. He said 14 quick-service restaurants – like coffee shops and cafes – opened shop in Georgetown last year, compared to only four that opened their doors in 2015. Scott said the drop in sit-down restaurants allows Georgetown to compete with other popular neighborhood hangouts, like 14th Street and The Wharf, because the “dynamic” of the District is more casual – driven by customer desires. “Some restaurant concepts age out or don’t necessarily keep up with modern trends,” he said. More quick-service restaurants have opened than closed in Georgetown for the past four years, according to data from the Georgetown BID. Since 2015, 17 quick-service restaurants closed, while 35 – more than double that number – opened in the neighborhood. Full-service restaurants were nearly all replaced, with 27 shutting their doors and 26 opening in the past four years. Christopher Leinberger, the chair of GW’s Center for Real Estate and Urban Analysis, said Georgetown has reinvented itself before – transitioning from a nightlife center similar to Adams Morgan to a retail destination. 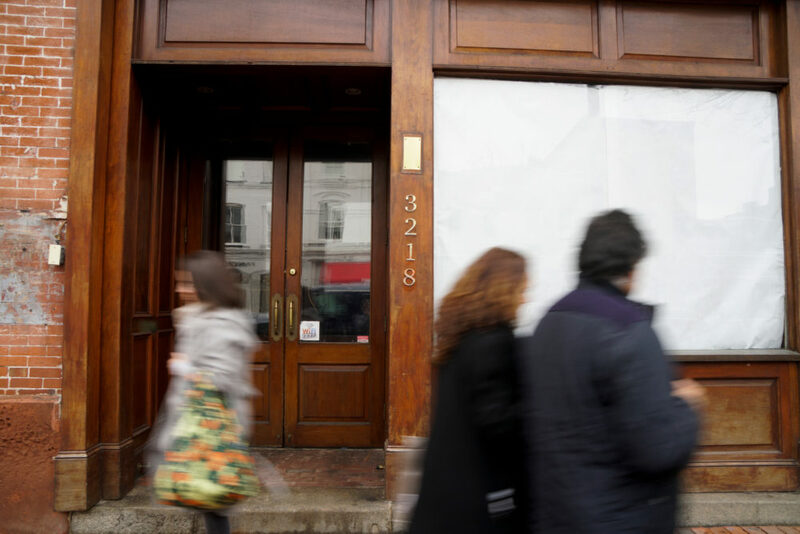 “It moved from being a party part of town – drink until you puke part of town – to fine dining, and now fashion, and they’re going to have to reinvent themselves again,” Leinberger said. “There’s no question that fast-casual is the fastest growing segment of the restaurant business, so it’s got to be there,” Leinberger said. Five business managers said the neighborhood’s foot traffic from nearby colleges and tourists are part of Georgetown’s appeal to restaurants. Thirteen restaurants, including J. Paul’s, closed around Georgetown last year. Aung Myint – the owner of Bandoola Bowls, a Burmese fast-casual restaurant slated to open at 1069 Wisconsin Ave. NW in Georgetown next month – said everything is picking up the pace because of services like Amazon and a predominant high-speed lifestyle. Co-owner Bettina Stern said more than half of their business during the day comes from people taking their orders to go, indicating that fast-casual dining is a popular option for a quick lunch. Phil Petrilli, the chief executive officer of Taim – a New York falafel fast-casual chain opening its first D.C. location at 1065 Wisconsin Ave. NW this summer – said the large number of students from GW and Georgetown University that frequent the neighborhood are part of Georgetown’s appeal. While students regularly fill up the streets, Lindsay Goldin – the owner of The Dough Jar, a cookie dough dessert spot – said the tourist market in Georgetown was one of the reasons she opted to set up her first brick-and-mortar shop on Wisconsin Avenue this summer. Mike O’Brien – the managing partner and chef at The Berliner, a German beer hall with homemade sausages and street food that opened in December at 3401 Water St. NW – said Georgetown is an excellent location because it has a wide demographic. “There are many reasons that longer established restaurants close, but I think that changes in demographic and changes in the dining habits most likely were factors,” O’Brien said in an email. Scott, the director of planning and economic development at the Georgetown BID, added that customers want a mix of options from expensive nights out to quick grab-and-go options, so the blend of shops in Georgetown reflects an expanding set of options.